Sliding straight cut throat razor with black marble effects. Try them for yourself, we are confident that you will love them and if they do not meet your expectations in anyway please send them back either for a full refund or for a different pair, Hassle free return policy! 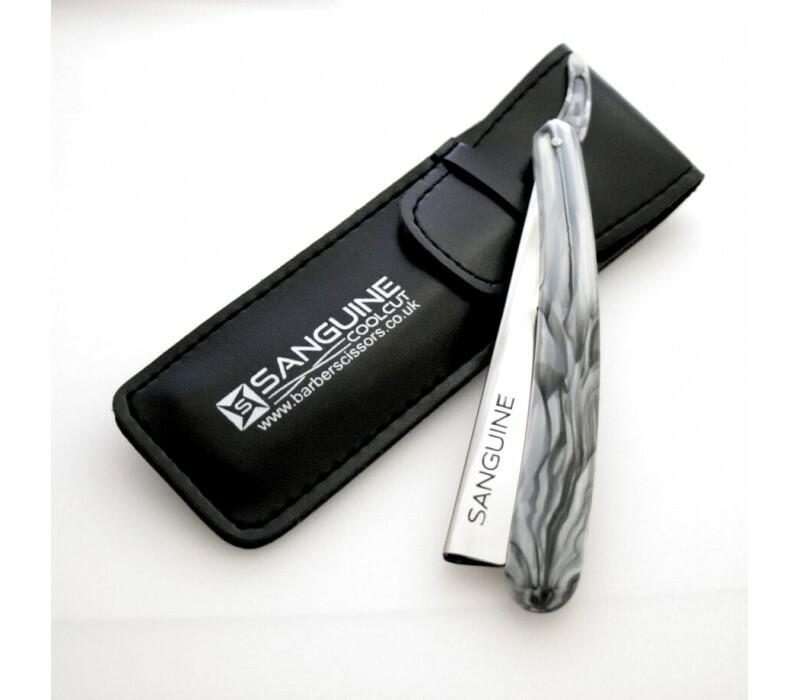 We have well over 42,000 feedback and they are 99.6% positive Sanguine Branded Scissors are the Best Seller scissors on Amazon for the last four years and we have well more than 1400 five-star reviews on these scissors.